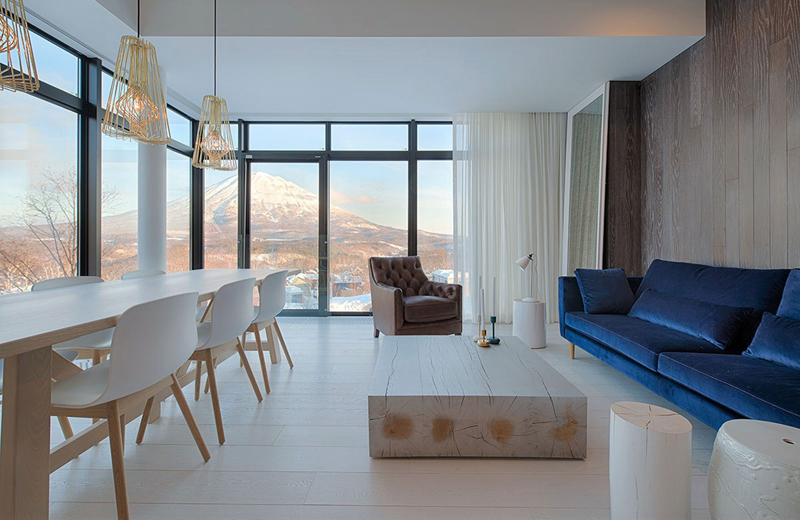 Loft Niseko offers discerning ski travellers a taste of high class New York or Hong Kong city chic in the serene snowbound setting of Niseko. Dedicated concierge service and drivers mean no part of the village is out of reach, with local expertise just a phone call away. 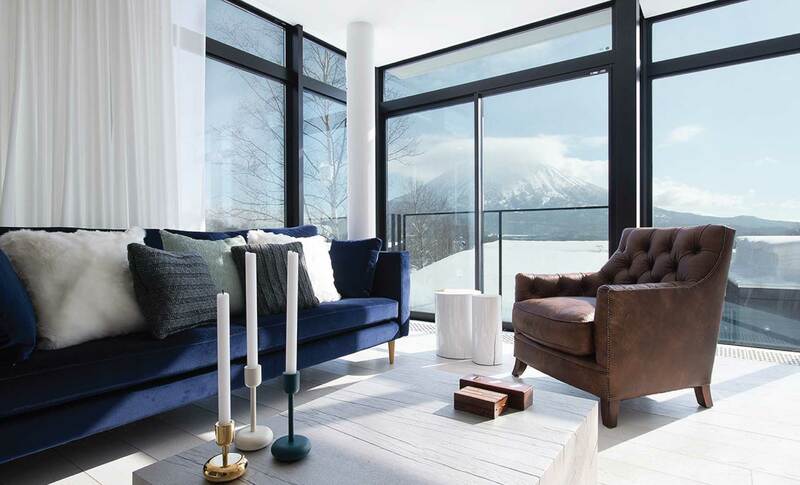 Our team stayed here – read more about our stylish stay at Loft Niseko. No expense has been spared bringing these loft-style apartments to life, with marble bathrooms, plush rugs, white faux fur throws and pillows, and blue velvet / brown leather lounges. 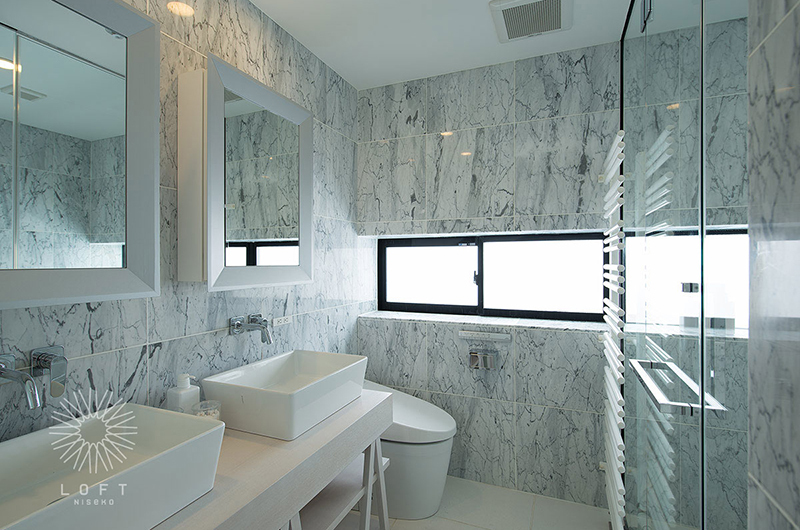 Developed by a Hong Kong company that enlisted an experienced local architect and Philippe Starck, world famous French interior, industrial and architectural designer. Starck counts among his work hotel designs in New York, Paris, London and Rio. The style of these apartments is like nothing else in Niseko. 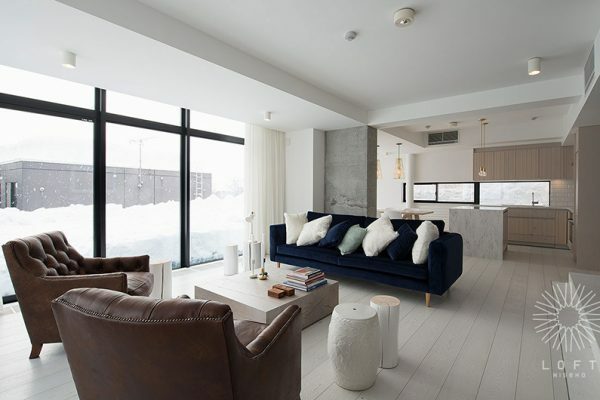 While there is plenty of luxury in Niseko, Loft offers a sophisticated edge that would receive the tick of approval from high society. Topping it off is the onsite concierge that is always on hand to take your skis, book restaurants and activities, or drive you to the lifts or around the village. Luxury! All apartments feature well equipped kitchens, but interestingly, in lofts 301 and 401 the kitchen is not integrated in an open plan configuration with the living/dining area, as is generally the norm across the rest of Niseko. Instead, the kitchens in these two apartments are tucked away along the side of the building meaning total focus on style rather than utility in the living/dining. While these kitchens are ample for preparing meals, in Niseko who needs them?! Touche, Loft designers. Enjoy elevator access into your apartment. 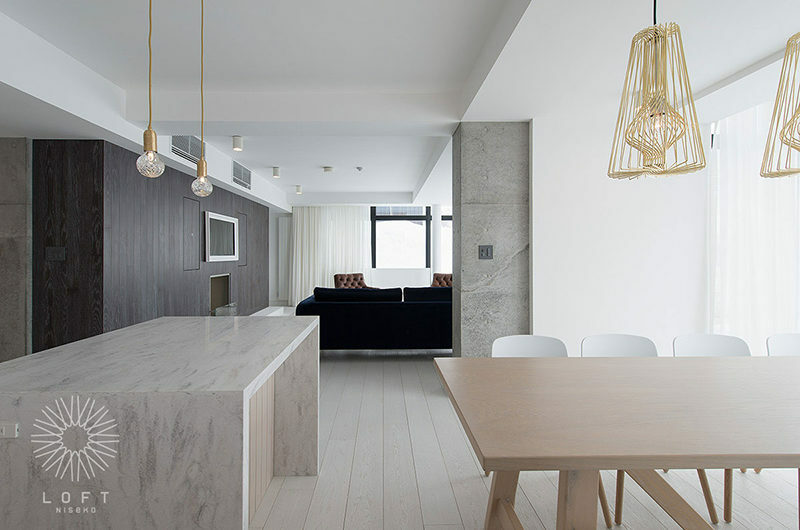 Featuring a ground level terrace, the 101 apartment is the most expansive of the 4 LOFT apartments. 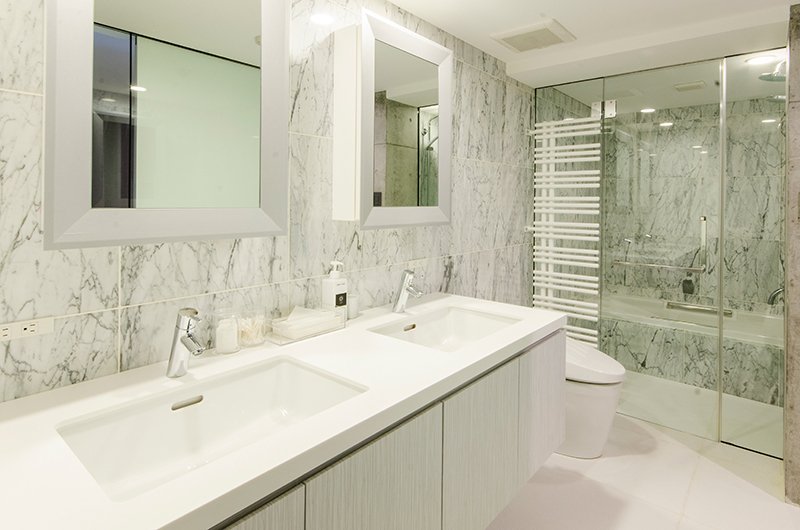 3 Bedrooms feature en suite bathrooms. 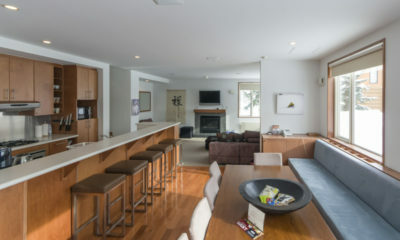 A spacious lounge room features gas fireplace and opens onto a spacious terrace with views of the Lower Village. An expansive dining area seats up to 8. 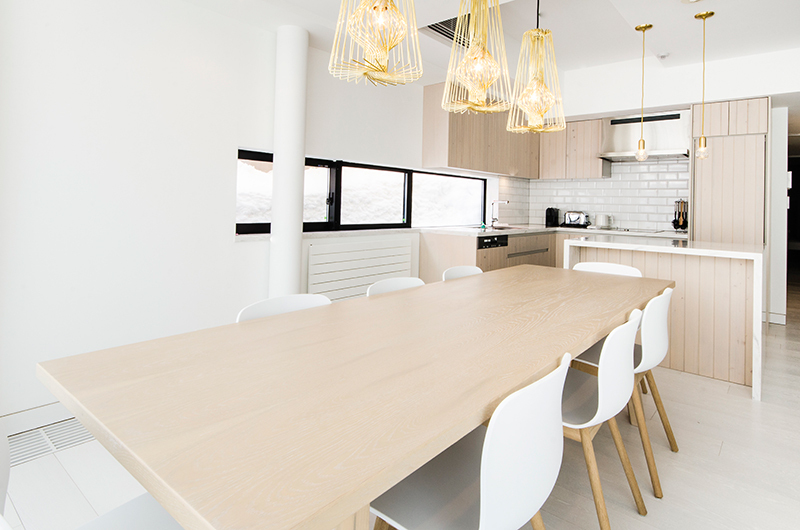 A full feature kitchen and bespoke stylings throughout. 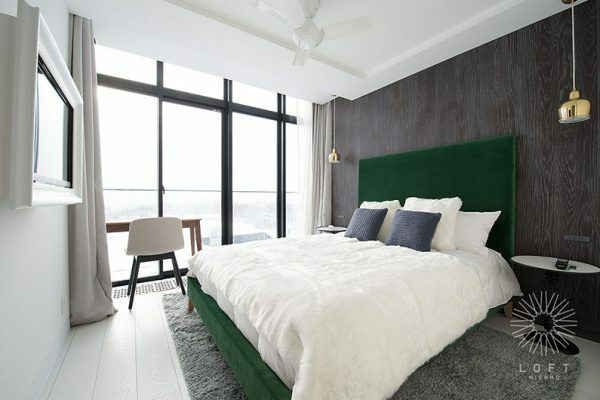 LOFT 201 features 3 en suite bedrooms and can be accessed straight from the building lobby. 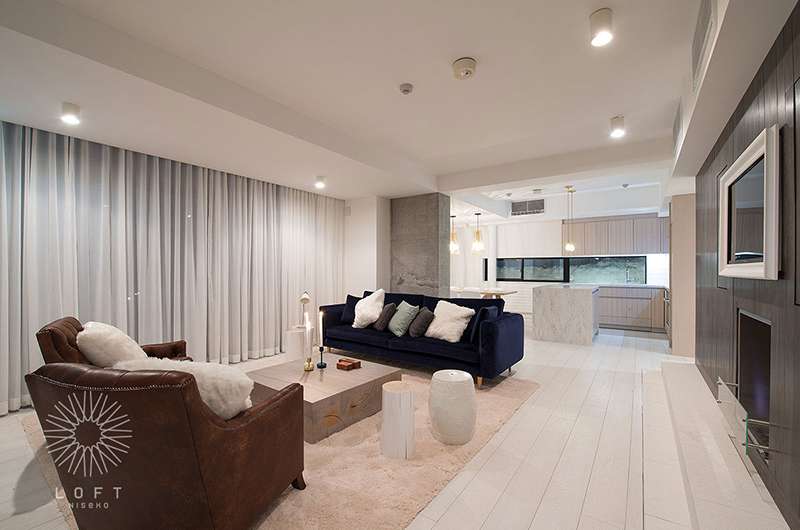 Master bedroom and living room feature epansive views of the Lower Village and Mt Yotei. With more space than the higher floors, the LOFT 201 kitchen connects straight to the open plan living and dining area for comfort and ease of use. A feature gas fireplace and bespoke furniture and finishings throughout. 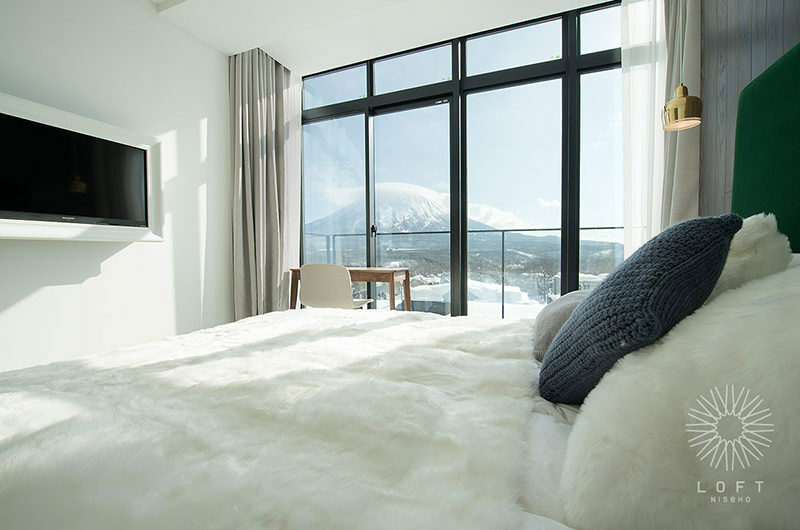 Uninterrupted views of Mt Yotei and the snow-covered Lower Village from both living and master bedrooms. 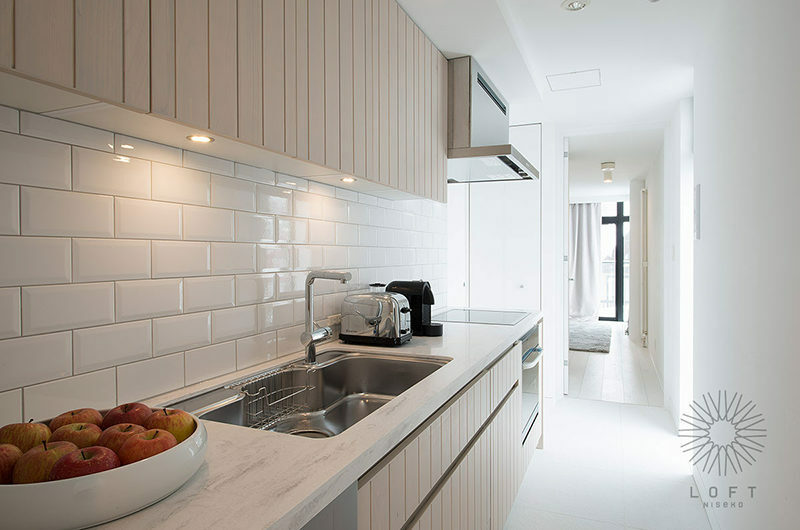 Galley kitchen connects to an open plan dining and living space, each bedroom features its own en suite shower, and other bedrooms feature views of tranquil Middle Hirafu. 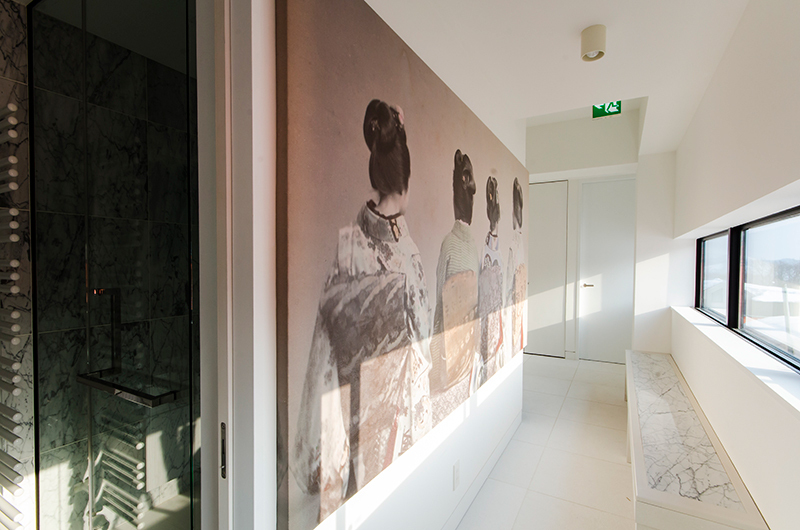 Three en suite bedrooms (master with bath), uninterrupted views of Mt Yotei and the Lower Village from living and master bedroom. 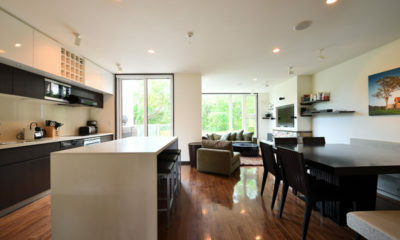 A galley kitchen services open plan dining and living areas. 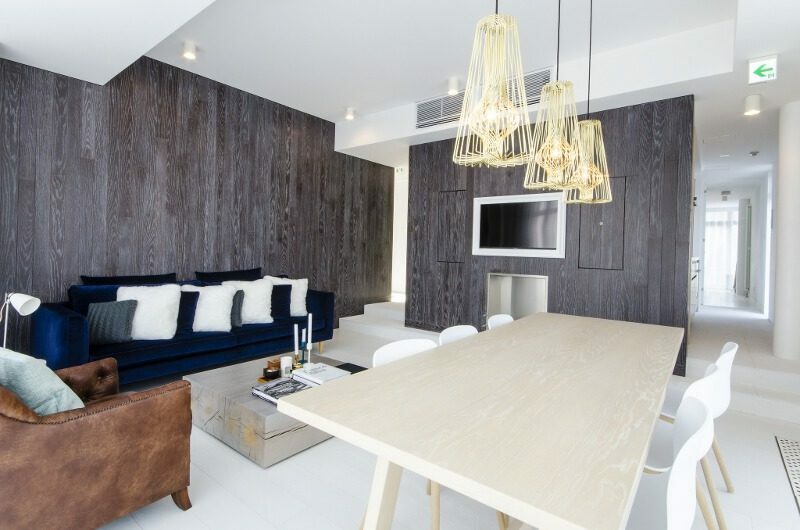 Gorgeous bespoke Scandinavian inspired styling throughout the apartment. 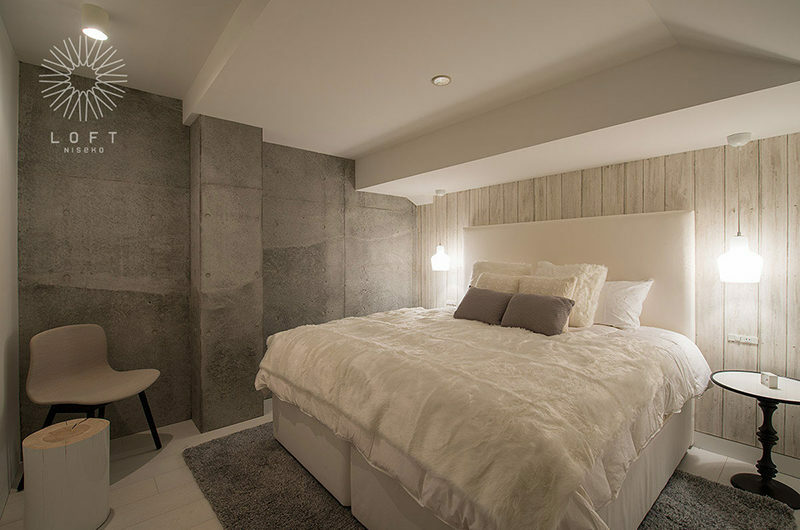 Second and third bedrooms look out over tranquil Middle Hirafu. LOFT Niseko is located at the bottom of Middle Hirafu Village, in amongst a mix of chalets, small apartment blocks, pensions and several restaurants and bars within a snowball’s throw. It’s about 10-15 minutes walk in skit boots to the lifts. But with the on-site concierge, you’re just a few minutes’ drive from wherever you need to go and the free shuttle is just outside. Within three minutes’ walk from your front door there are a dozen great restaurants and bars on one of Hirafu’s restaurant hotspots, Momiji-Zaka Street. Beyond that but well within walking distance are dozens more. 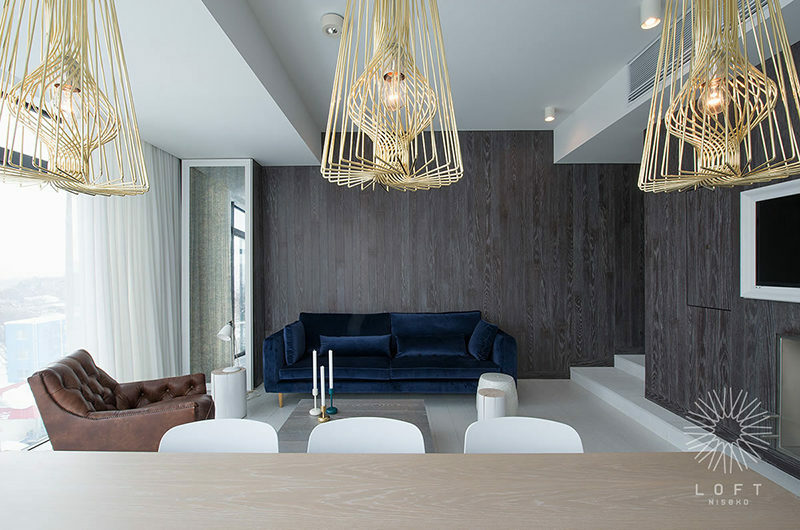 The style of these apartments is super cool. 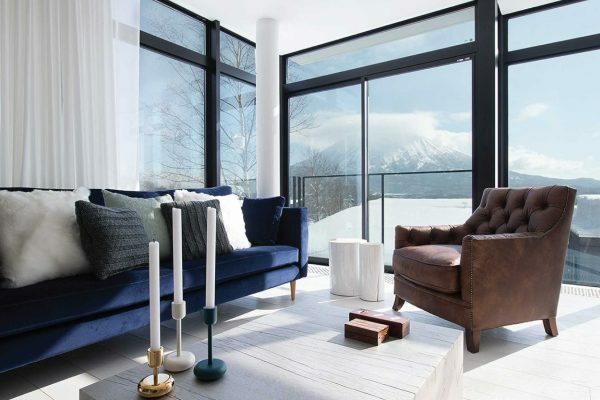 While there is plenty of luxury in Niseko, there are only a handful of properties like the Loft Niseko that have amazing views of Mt Yotei like the one we stayed in. 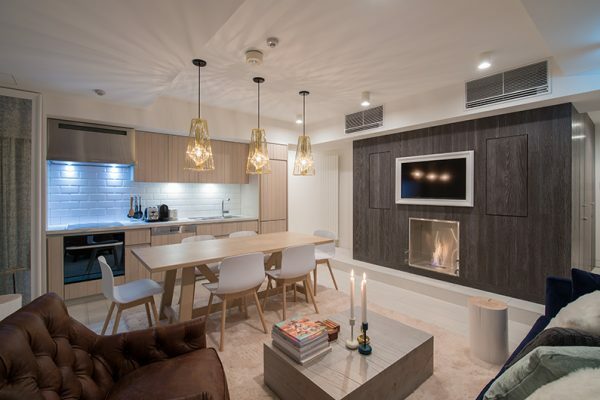 All apartments feature Nespresso coffee machine which is a “must have” for coffee lovers like me! Each apartment’s comes with washing machine has an integrated dryer plus fast Wifi. 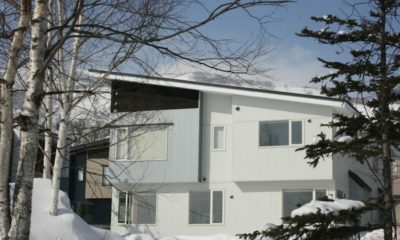 While the kitchens are ample for preparing meals, in Niseko who needs them?! 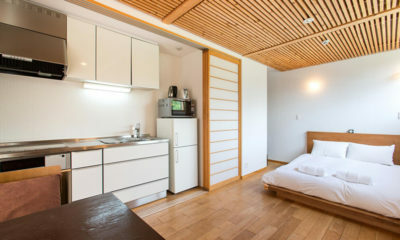 The location is brilliant and you are walking distance to all of the great restaurants of Hirafu. 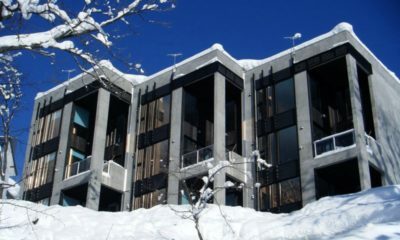 Perched on Middle Bluff – the cliff between Middle and Lower Hirafu Village, all four Loft apartments enjoy unhindered views of Mt Yotei, the sleepy lower village and surrounding snowscape. 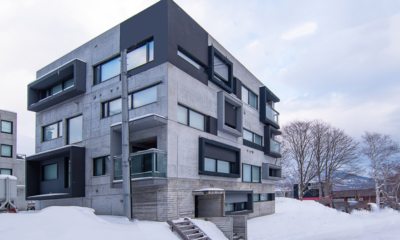 Topping it off is the onsite concierge that is always on hand to take your skis, book restaurants and activities, or drive you to the lifts or around the village. Luxury! It was one of the best service I’ve had from a hotel . The staff were amazingly helpful and above and beyond!! The loft was amazing , great rooms and view from the living area.. loved everything about it! Totally would recommend it to anyone!! 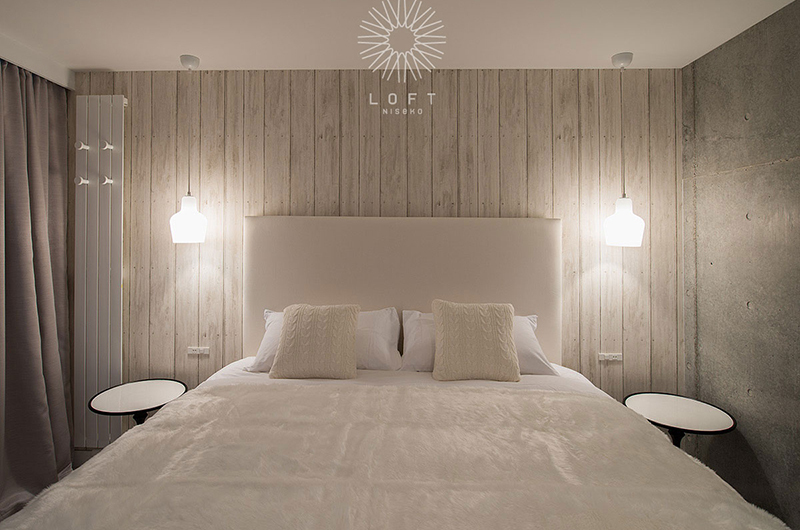 The Loft is a cosy cluster of fabulously attired apartments by Yoo the interior design leg of Philippe Starck. 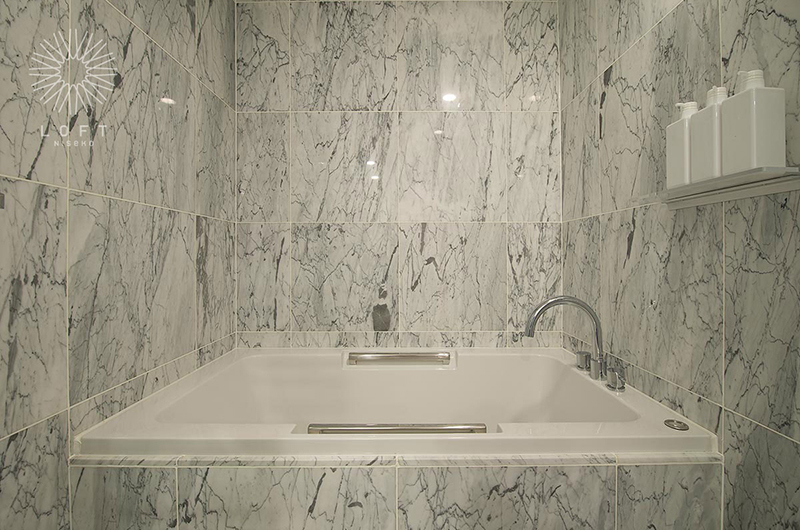 More like modern boutique apartments with full concierge service. 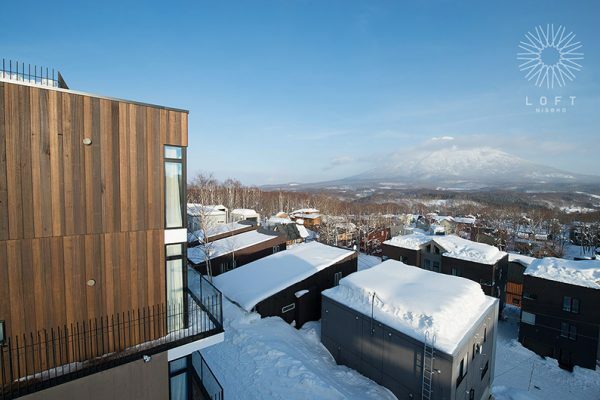 Right in the middle of Hirafu village perched on an escarpment with glorious views of Mt Yotei. Such a treat to stay there. Fully equipped state of the art kitchen which would delight any chef. Restaurants are in abundance nearby or chauffeured by the concierge. Whatever takes your fancy. 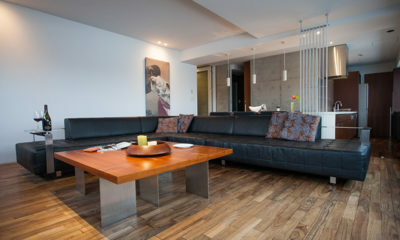 We stayed in both the penthouse apartment as well as the expansive garden apartment. Definitely will stay again. This is the most stunning loft we have stayed. 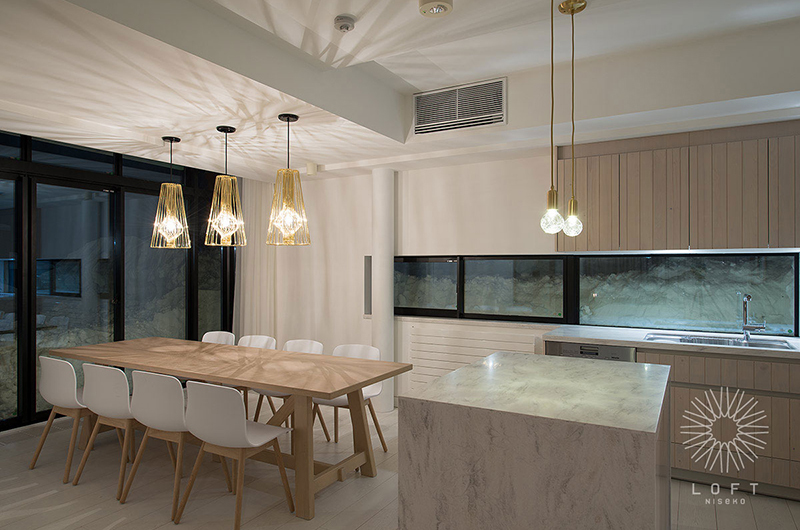 The fabulous interior design with spectacular view gave us an impressive experience with our friends. With the great service, certainly we will come and stay again. 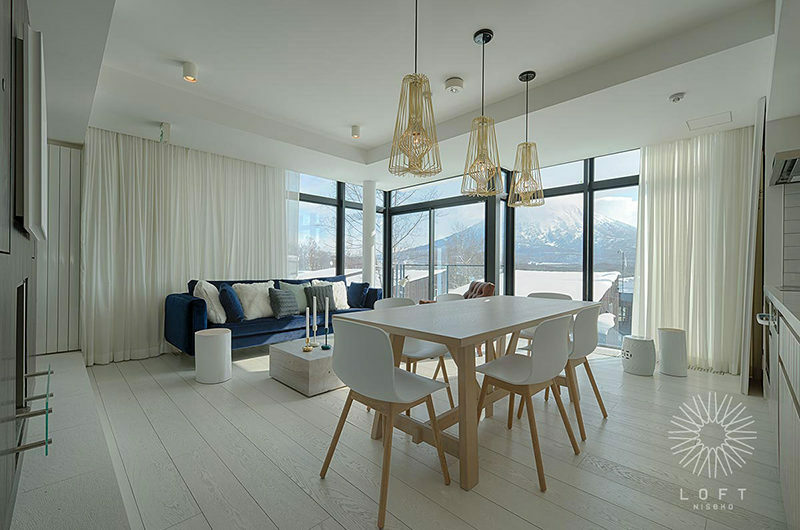 Big Valley is a block of three modern Japanese townhouse chalets with winter-wonderland forest views.